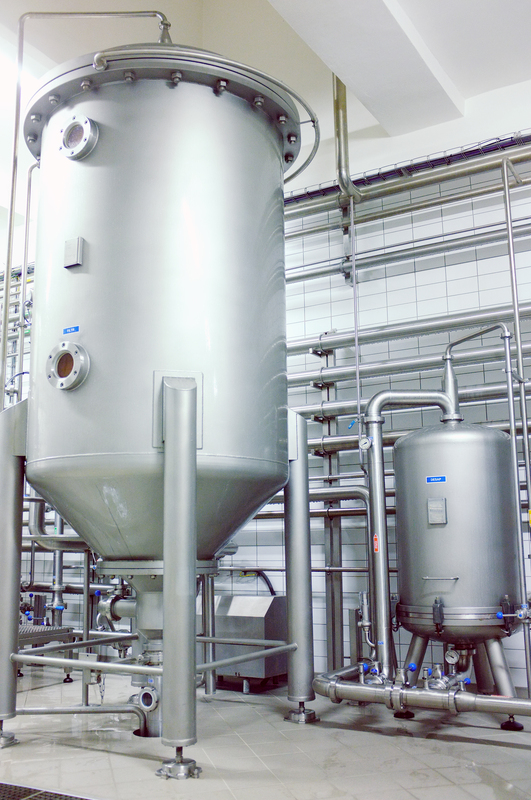 Kieselguhr filtration of beer | Destila s.r.o. We offer kieselguhr and other filters with vertical elements. Together they provide high quality distillate and reliable filtration. We have more than 50 years of experience in producing filtration equipment! Thanks to which, we are considered to be one of the best suppliers of specialized filtration equipment for brewing not only at home but also abroad. Filter candles improve the quality and reliability of filtration, reduce the demanding operation of the equipment and increase the efficiency of operation by reducing the kieselguhr doses. If you use our filters correctly, you will receive a maximum of 5 yeast cells per 100 ml of filtered beer. When filtering wine, they are twice as effective. The filters have been a fixed part of our production program and the possibilities offered by this method are still not exhausted. FKS mobile kieselguhr candle filtration equipment has a filter area of 1 - 5 m2. They have a solid construction and a long service life. Stationary FKS-type kieselguhr filters are primarily designed for beer filtration. We offer various different degrees of automation. How does kieselguhr filtration work? Kieselguhr filtration is now a classic method not only for filtering beer, but also for filtering wine and other beverages and liquids. It has a wide application in the food industry. It is used not only in brewing, but also in winemaking, in the production of fruit juices and concentrates, but also in the cleaning of salt baths and other areas. Vertical filter candles are produced by precision winding technology and stainless-steel wire welding on a rigid warp. These candles hold the gradually silted kieselguhr, which is dosed into the filtered beer and captured on these candles, which in turn captures not only almost all the beer yeasts but also some other substances harmful to the beer.